Melvin Calvin: Following the Trail of Light: A Scientific Odyssey, by Melvin Calvin. - book suggestion. Born 8 Apr 1903; died 1986. American crystallographer and mineralogist who made significant contributions to the theory of finding the arrangement of atoms in crystals and devised or improved many of the standard methods, techniques, and instruments of modern crystal-structure analysis. In the 1930s, he revised the powder camera into its present form. He invented the precession method of x-ray diffraction analysis now commonly used for obtaining the unit cell and space group of a crystal. In 1952, the first counter diffractometer designed especially for measuring the intensities of the diffraction from single crystals was built in Buerger's laboratory, which in 1961 was converted into the first automated diffractometer. He wrote a number of books on crystallography. Elementary Crystallography: An Introduction to the Fundamental Geometrical Features of Crystals, by Martin Julian Buerger. - book suggestion. Born 8 Apr 1901; died 23 Mar 1984 at age 82. French engineer and builder known particularly for his contributions to the art and technology of prefabricated metal construction. Prouvé was first apprenticed to a blacksmith, and then to a metal workshop. In Nancy in 1923 he opened what would be the first in a string of his own workshops and studios. He produced wrought iron products and began designing furniture. In 1931, he opened the successful "Ateliers Jean Prouvé." He was one of the creators of the first prefabricated building in the world, the 1937 Roland Garros flight club. After WW II, his company mass-produced frame houses for refugees. His company built industrial buildings from aluminum and sent hundreds of aluminum sheds to Africa. He went on to produce other major buildings. Jean Prouvé Highlights 1917-1944, by Peter Sulzer. - book suggestion. Harvey Williams Cushing was an American neurosurgeon who was a pioneer of neurosurgery, and studied blood pressure. His clinical contributions are legendary: the use of x-rays in surgical practice, physiological saline for irrigation during surgery, the discovery of the pituitary as the master hormone gland, founding the clinical specialty of endocrinology, the anesthesia record, the use of blood pressure measurement in surgical practice, and the physiological consequences of increased intracranial pressure. He performed the first brain surgery in the U.S. on 21 Feb 1902. Genius With a Scalpel: Harvey Cushing, by Justin F. Denzel. - book suggestion. American zoologist who was one of the first scientists to study the behaviour of individual microorganisms and to experiment with genetic variations in single-celled organisms. He wrote his Ph.D. thesis on the morphogenesis of rotiferans (microscopic aquatic organisms), an area of scientific interest he pursued for the next 10 years. The peak of his research and his primary contribution to zoology was his Behaviour of the Lower Organisms (1906). In this study of the reactions of individual organisms and individual response to stimuli, Jennings reported new experimental evidence of the similarity of activity and reactivity in all animals, from protozoans to man. For 40 years of his career Jennings studied the mechanisms of inheritance and variation in single-celled organisms. Behavior of the Lower Organisms, by Herbert Spencer Jennings. - book suggestion. American pathologist who played a major role in the introduction of modern medical practice to the U.S. As the first dean of the medical school at Johns Hopkins University (1893-98), Welch revolutionized American medicine by demanding of its students a rigorous study of physical sciences and an active involvement in clinical duties and laboratory work. His students included Walter Reed, James Carroll and Simon Flexner. As an original investigator, With Flexner, he demonstrated (1891-92) the pathological effects produced by diphtheria toxin. In 1892, he discovered Micrococcus albus and its relation to wound fever and of Clostridium welchii (Welch's bacillus), the causative agent of gas gangrene. William Henry Welch and the Heroic Age of American Medicine, by Simon Flexner, James Thomas Flexner. - book suggestion. Born 8 Apr 1817; died 1 Apr 1894 at age 76. French physiologist and neurologist who was a pioneer endocrinologist and neurophysiologist. He was among the first to work out the physiology of the spinal cord. In 1849, he discovered that the sensory, though not the motor, fibres in the spinal cord are crossed. Thus a cut halfway through the cord from one side produces paralysis in the same side of the body but anesthesia in the side opposite to the cut. He also studied the physiological effects of the injection of genital gland extracts. In 1856 he discovered that the adrenal gland is essential for life. He later showed that "internal secretions" (i.e., hormones) serve the body's cells as a means of communication with each other, secondary to the nervous system (1891). Cours of Lectures on the Physiology and Pathology of the Central Nervous System, by Charles Edouard Brown-Sequard. - book suggestion. Born 8 Apr 1811; died 29 Jan 1891 at age 79. Born 8 Apr 1779; died 6 Sep 1857 at age 78. German physicist who invented the galvanometer (1820), a device to measure the strength of an electric current. He developed the principle from Oersted's experiment (1819) which showed that current in a wire will deflect a compass needle. Schweigger realized that suggested a basic measuring instrument, since a stronger current would produce a larger deflection, and he increased the effect by winding the wire many times in a coil around the magnetic needle. He named this instrument a “galvanometer” in honour of Luigi Galvani, the professor who gave Volta the idea for the first battery. Thomas Seebeck (1770-1831) named the innovative coil, Schweigger's multiplier. It became the basis of moving coil instruments and loudspeakers. Born 8 Apr 1732; died 26 Jun 1796 at age 64. American astronomer who was an early observer of the atmosphere of Venus. For observations for the transit of Venus on 3 Jun 1769, he constructed a high precision pendulum clock, an astronomical quadrant, an equal altitude instrument, and an astronomical transit. He was the first one in America to put spider web as cross-hairs in the focus of his telescope. He is generally credited with inventing the vernier compass and possibly the automatic needle lifter. He was professor of astronomy at the University of Pennsylvania. Benjamin Franklin consulted him on various occasions. For Thomas Jefferson he standardized the foot by pendulum measurements in a project to establish a decimal system of weights and measures. David Rittenhouse, by Brooke Hindle. - book suggestion. Died 8 Apr 1996 at age 89 (born 27 Dec 1906). American inventor of Sweet 'n Low artificial sweetener in 1957, and president of the Cumberland Packaging Corporation which manufactured it. The words "Sweet 'n Low" superimposed on a musical staff design became the US Trademark Registration No. 1,000,000. Before that, in the early 1950s, Eisenstadt originated putting sugar into little sanitary paper packets for restaurants. When saccharin became popular in the 1950s, it was available only as a liquid or as tiny effervescent pills. Working with his son Marvin, Eisenstadt created saccharin in a convenient packet form by mixing saccharin with dextrose (a form of glucose) and a few other ingredients to make Sweet 'n Low. (Patent No. 3,625,711). He died aged 89, of complications from bypass surgery. Died 8 Apr 1992 at age 85 (born 23 Mar 1907). The Road to Stockholm: Nobel Prizes, Science, and Scientists, by Istvan Hargittai, James D. Watson. - book suggestion. Pyotr Leonidovich Kapitsa was a Russian physicist who shared (with Arno Penzias and Robert Woodrow Wilson) the 1978 Nobel Prize for Physics for his basic strong magnetic field inventions and discoveries in the area of low-temperature physics. He discovered that helium II (the stable form of liquid helium below 2.174 K, or -270.976 C) has almost no viscosity (i.e., resistance to flow). Late in the 1940's Kapitza changed his focus, inventing high power microwave generators - planotron and nigotron (1950-1955) and discovered a new kind of continuous high pressure plasma discharge with electron temperatures over a million kelvin.Also spelled Peter Kapitza. 8 Jul 1894 (new style) is 26 Jun 1894 (old style). Died 8 Apr 1971 at age 71 (born 4 May 1899). German automotive industrialist who took part, with Max Valier and Friedrich Wilhelm Sander, in experiments with rocket propulsion for automobiles and aircraft. On 11 Apr 1928, at Berlin, they tested the first manned rocket automobile. On 30 Sep 1929, von Opel piloted the Opel Sander Rak.1, a glider powered with 16 rockets of 50 pounds of thrust each, and made successful flight of 75 seconds, covering almost 2 miles near Frankfurt-am-Main, Germany, Von Opel as pilot. By sponsoring these early tests of rocket-powered transport, Opel popularized the idea of rocket propulsion in Germany. Died 8 Apr 1968 at age 86 (born 24 Jan 1882). American astronomer who with his son, Horace, invented the solar magnetograph (1951), for detailed observation of the Sun's magnetic field. With their magnetograph the Babcocks measured the distribution of magnetic fields over the solar surface to unprecedented precision and discovered magnetically variable stars. In 1959 Harold Babcock announced that the Sun reverses its magnetic polarity periodically. Babcock's precise laboratory studies of atomic spectra allowed others to identify the first "forbidden" lines in the laboratory and to discover the rare isotopes of oxygen. With C.E. St. John he greatly improved the precision of the wavelengths of some 22,000 lines in the solar spectrum, referring them to newly-determined standards. Died 8 Apr 1936 at age 59 (born 22 Apr 1876). Austrian physician and otologist who won the Nobel Prize for Physiology or Medicine in 1914 for his work on the physiology and pathology of the vestibular (balancing) apparatus of the inner ear. The news of this award reached Bárány in a Russian prisoner-of-war camp. He had been captured while attached to the Austrian army as a civilian surgeon and had tended soldiers with head injuries, which fact had enabled him to continue his neurological studies on the correlation of the vestibular apparatus, the cerebellum and the muscular apparatus. Following the personal intervention of Prince Carl of Sweden on behalf of the Red Cross, he was released from the prisoner-of-war camp in 1916 and was presented with the Nobel Prize by the King of Sweden at Stockholm. Died 8 Apr 1925 at age 86 (born 10 Apr 1838). Died 8 Apr 1919 at age 70 (born 27 Jul 1848). Roland Baron von Eötvös was a Hungarian physicist who studied at Heidelberg where he was taught by Kirchhoff, Helmholtz and Bunsen. Eötvös introduced the concept of molecular surface tension and published on capillarity (1876-86). For the rest of his life he concentrated on study of the Earth's gravitational field. He developed the Eötvös torsion balance, long unsurpassed in precision, which gave experimental proof that inertial mass and gravitational mass, to a high degree of accuracy, are equivalent - which later was a major principle of Albert Einstein. Died 8 Apr 1901 at age 55 (born 20 Mar 1846). Died 8 Apr 1882 at age 67 (born 13 Oct 1814). Jules (-Étienne-Joseph) Quicherat was a French historian and one of the founders of archaeology in France. As a pioneering archaeologist, he was a major force in French scholarship during the 19th century. In 1847, he inaugurated a course of archaeological lectures at the École des Chartes. His students circulated his principles throughout France, recognizing him as the "founder of national archaeology". He wrote on the history of medieval France, and also edited texts of the trial and rehabilitation of Joan of Arc (1841-49). Died 8 Apr 1879 at age 70 (born 24 Feb 1809). Died 8 Apr 1861 at age 49 (born 3 Aug 1811). American inventor of the automatic safety brake for elevators, which later made high-rise buildings practical. Before this invention, elevators of his time were extremely dangerous. In 1852, he was employed at a New York bed factory. He realized the need for a “safety elevator” to move people and equipment safely to the upper floors of the building. 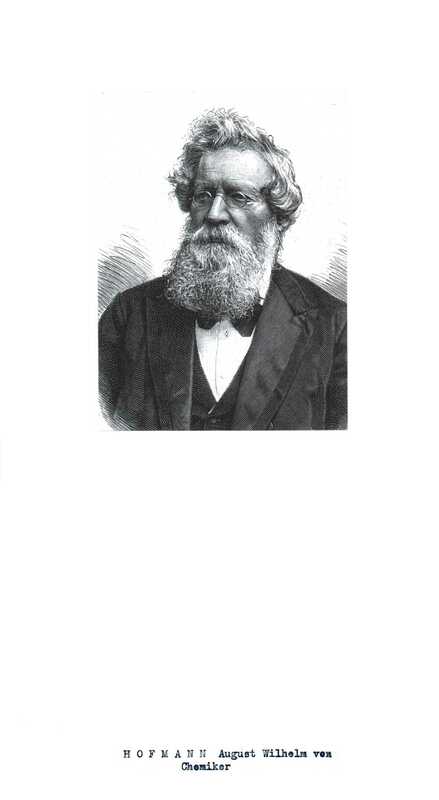 He strikingly demonstrated his solution at the Crystal Palace Exposition in New York in 1854. In front of a large crowd, Otis ascended in his new elevator. He called for the elevator's cable to be cut with an axe, but the elevator platform did not fall. The brake he invented used toothed guiderails in the elevator shaft and a spring-loaded bar that automatically caught in the toothed rail if the elevator car if the cable failed. Otis Giving Rise to the Modern City: Giving Rise to the Modern City, by Jason Goodwin. - book suggestion. Died 8 Apr 1860 at age 59 (born 5 Apr 1801). French biologist and cytologist, noted for his studies in the classification of protozoans and invertebrates, animals he found in “infusoria” - mixtures of water and decaying matter. He was largely self-educated, yet in 1834 he was the first to propose that single-cell animals should be classified in a group by themselves that he called Rhizopoda, but now named protozoans. Dujardin's careful studies of flatworms gave a foundation for the future work of parasitologists. In 1835, he disproved Ehrenberg's theory that tiny animals have the same organs as large ones. Also in 1835, he was the first to describe protoplasm, the jellylike material in animal cells to which he applied the term sarcode (Gr. sari. flesh) to it. This substance was later found in living plant cells. Died 8 Apr 1839 at age 88 (born 3 Mar 1751). Swiss physicist and philosopher who first showed that all bodies radiate heat, no matter how hot or cold they are. In Sur l'equilibre du feu (1792) he made a significant step forward in understanding the nature of heat. With the Prévost theory of exchanges, he introduced the concept of dynamic equilibrium in which all bodies are both radiating and absorbing heat to and from the surroundings at the same rate. (As opposed to the two “imponderable fluids” of frigoric (cold) and caloric (heat) widely believed at the time.) Prévost recognized that cooling was the loss of heat, not the gain of cold. He believed all bodies contained some measure of heat at any temperature, and that heat would flow from a hotter body to a colder body. This interpretation in his caloric theory remained true when described seventy years later in Maxwell's kinetic theory (that heat is energy of particle motion). In his later years, Prévost studied the human aging process, using himself as the subject of his observations. Died 8 Apr 1461 at age 37 (born 30 May 1423). In 1953, the first 3D motion picture produced and released by a major company, Man in the Dark, opened at the Globe Theater in New York City, starring Edmond O’Brien. The next 3D feature movie, The House of Wax, was the first from a major company in colour and opened only two days later, at the Paramount Theater in NYC. The idea, however was not new. The first 3D feature film, The Power of Love, made in the U.S. by Perfect Pictures in 1922, used the familiar method of providing to the audience spectacles with one red and one green lens to produce the illusion of depth. The first 3D talking picture in colour, a Russian production of Robinson Crusoe, was shown in Moscow in Feb 1947. 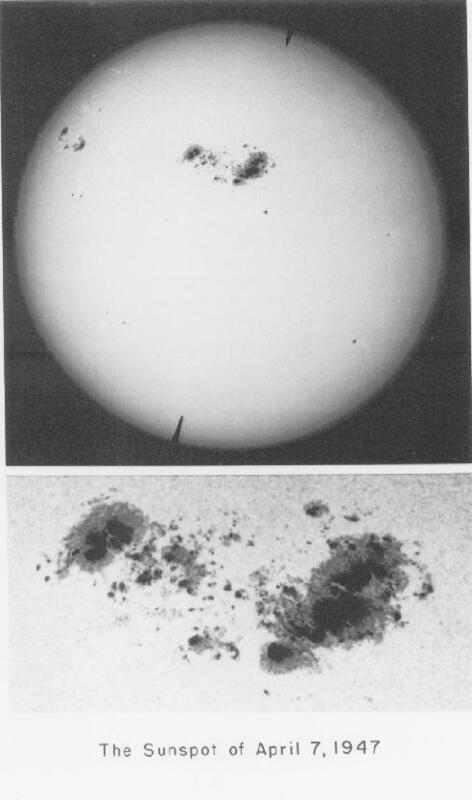 In 1947, the largest sunspot group recorded was observed on the sun's southern hemisphere. Its size was estimated at 7 billion square miles, or an area of 6100 millionths of the Sun's visible hemisphere. Sunspots are areas of somewhat cooler surface than the surrounding solar gases, and appear as dark spots on the solar surface. Astronomers measure the sizes of sunspots as millionth fractions of the Sun's visible area. Typically, a big sunspot measures 300 to 500 millionths, whereas the entire surface area of the Earth is only 169 millionths of the solar disk. In 1940, a U.S. 1¢ stamp was issued commemorating John James Audubon. The stamp was one of a series of 35 stamps recognizing Famous Americans, including four other scientists and five inventors. A first day of issue ceremony was held by the Post Office Department in St. Francisville, Louisiana, site of the John J. Audubon State Park. He was a self-taught artist and naturalist who illustrated his ornithological books. He was featured on a second stamp in 1985 as part of the Great Americans series. His bird portraits appeared on four later stamps: Columbia Jay (1963, airmail 1967) Long-billed Curlew (one of the Four Centuries of American Art series,1998) and most recently Tanager Birds (American Treasures series, 27 Jun 2002). In 1898, The first U.S. college of forestry was created at Cornell University upon the signing of a state law by the New York governor. A Prussian-born and trained forester, Dr. Bernhard Fernow, was the first head of the forestry department. Fernow was devoted to raising the level of professionalism in the care of natural resources. He had emigrated to the U.S.A. in 1876, published a series of articles about forestry and helped found the American Forestry Congress in 1882. Four years later was chief of the new Division of Forestry in the U.S. Department of Agriculture - a position he resigned to establish the New York State College of Forestry at Cornell University. He later organized forestry schools in Pennsylvania and Toronto, Canada. In 1879, milk was sold in glass bottles for the first time in the U.S. They were introduced by the Echo Farms Dairy Co. of New York. The Untold Story of Milk, by Ron Schmid. - book suggestion. In 1873, the first commercially successful margarine manufacturing process was patented by Alfred Paraf of New York (No. 137,564). When its success threatened butter sales, federal and state taxes were levied on it. In 1766, the first patent was granted for a fire escape: a wicker basket on a pulley and a chain designed by a London watchmaker.